Take a look at the Edify Food Pyramid and familiarise yourself with low carb/high fat foods. Once you've got an understanding of what you can and can't eat, things will become much easier for you. 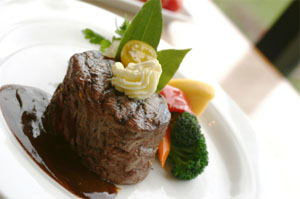 Have a look through the Meal Ideas. There is bound to be some inspiration that comes from there. Check out our Low Carb High Fat Recipes too. We are constantly updating these pages so make sure you check back regularly. When you get into the habit of eating beautiful fresh food you will never want to settle for anything less. It's about changing your mindset and realising WHY you are wanting to eat this way - for optimum health and longevity. You deserve it. Your children deserve it. Your entire family deserves it. In a nutshell, your diet will now consist mainly of vegetables (minus the potato family), meats, dairy (butter, cream, cheese, yoghurt, minimal milk), nuts (limit if wanting to lose weight), eggs, oils (such as coconut & olive NOT vegetable oils), avocado. Remember fruit is high in sugar and is therefore high in carbs. Limit your fruit to a maximum of one piece a day (none if you are wanting to lose weight). Try eating fruit from the berry family as it is lower in the carb count. You really want to remove all white starch from your diet, things like refined flours and sugars. There is an ever-increasing amount of evidence that is surfacing telling us just how bad these things are to our health. If you must have that little bit of sweetness in your life then make the switch to all-natural versions like rapadura sugar, coconut sugar, or honey. Just remember that the sooner you are rid of sugar, whatever its guise, the better. If you are wanting to bake then try recipes using either coconut flour or almond flour (aka almond meal). There are lots of delicious recipes out there on the internet. Even if you do come across something that may have 1 or 2 forbidden foods in the recipe, why not experiment with healthy substitutes like the ones I have mentioned above. Sometimes when we go through a change in our diet we may feel like we are being "deprived", but I promise you that once you start doing a little bit of homework on the "food" that is being mass-produced and on offer in our supermarkets these days, you'll never have that feeling again. What we are seeing is more and more "food-like" substances on the shelves than actual food, and they're making us fat and sick. 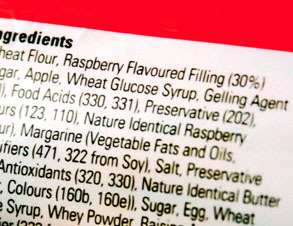 You've only got to look at the list of ingredients on the label to realise the extent of it all. And then there are the substances that don't require a listing on the label like the herbicides, pesticides and fungicides used in Genetically Modified and non-organic food crops. Are you really wanting to feed that to your family?